eero replaces your router and blankets your home in fast, reliable Wi-Fi. Dead spots, buffering, endless reboots? Asking a single router to cover your entire home is like asking a speaker in your living room to provide clear sound in every room – it just won’t work. Instead, you need multiple access points placed throughout your home so you can stream anywhere, anytime. You need a system that works. eero uses multiple access points and TrueMesh technology to cover every nook and cranny of your home in powerful and reliable Wi-Fi. It also works with your existing ONT (Optical Network Terminal) and your Jefferson Telecom Internet service to deliver a consistently strong signal everywhere you need it. Jefferson Telecom staff will gladly install your eero system in your home. Included with your eero system is Jefferson Telecom’s Wi-Fi Management. • FREE Wi-Fi Assessment of your home – technician goes to your home to assess current Wi-Fi environment, Internet needs, obstacles, etc. and gives recommendations to the customer. • Jefferson Telecom will hook up all wireless devices at point of installation or Wi-Fi assessment. • Secure and Cost-Effective Solution – we manage equipment firmware updates for the latest enhancements. • Local technical support available 24/7, if needed at 515-386-4141, #2. * Charges may apply if the customer Internet problems are not related to Wi-Fi service. Additional equipment and charges will be assessed and discussed if needed to optimize the Wi-Fi experience. Have more questions about improving your Wi-Fi? We are here to help. Call Jefferson Telecom at 515-386-4141 today! 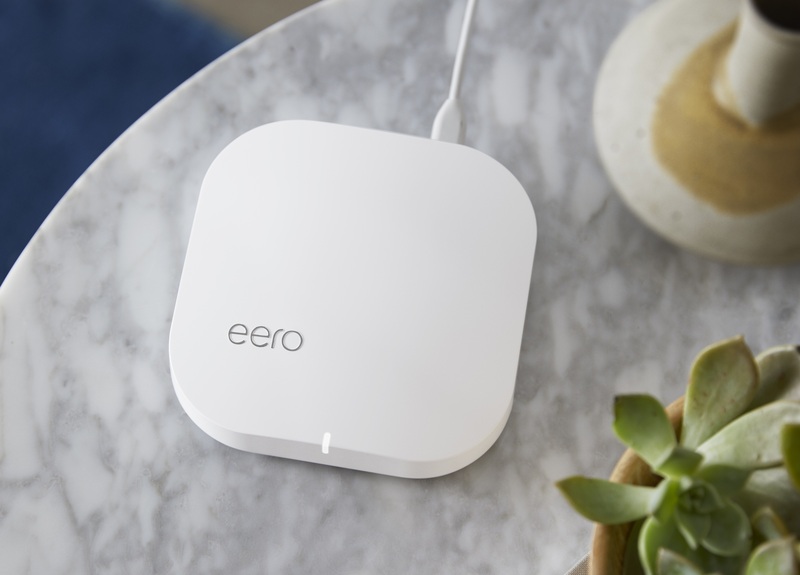 "With a eero system our Wi-Fi no longer goes out every day, which is a huge plus! Love it! So glad we switched."